drive it. Meet the crossover made for a generation of crossovers. 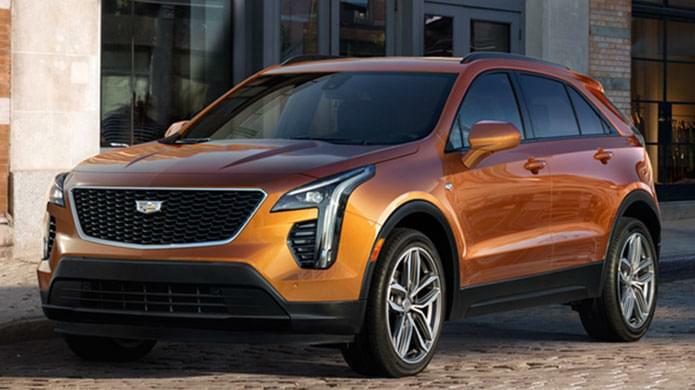 The XT4’s strong stance, sculpted body, and Cadillac signature light blades mean you’ll never get lost in the crowd. COMPACT, BUT NOT SHORT ON FEATURES. The XT4’s technology, comfort and convenience features reset expectations in the class. Expect you, your world and your vehicle to be more connected than ever. With segment leading rear leg-room, the XT4 has the versatility and style to meet your every need. The only question left is, where to next? From its bold design to the curated premium materials, the cockpit of the XT4 has been meticulously crafted with you in mind.